Located just across from the Lower Sunrise Recreation Area, winter and autumn find salmon fishermen elbow-to-elbow in the chilly water. Spring brings wildflowers, animals and nature-seeking hikers while summer draws legions of rafters and picnicking families. Many bicyclists choose to enter the trail here, as the trail is a long one! From U.S. Highway 50, exit at the Sunrise Blvd. off-ramp. Head north. 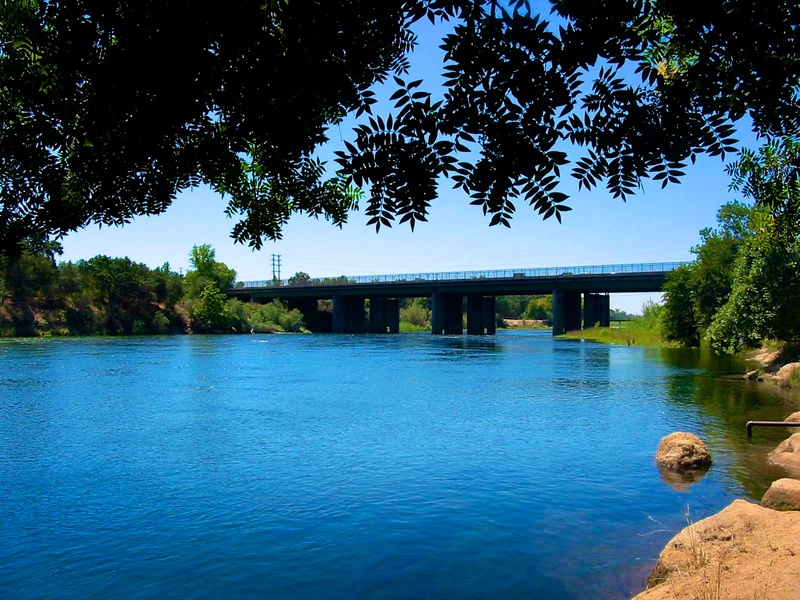 Just before the American River overpass, turn right into the park entrance, which is marked by a sign. Past the entry kiosk, turn left to get to Lower Sunrise and right to enter Upper Sunrise. Upper Sunrise may also be accessed from Gold Country Blvd just west of Hazel Avenue (north of Highway 50). The fish hatchery parking lot is accessible only from the Hazel Avenue access to Upper Sunrise. These parks provide recreation and education for thousands of visitors each year. The park is divided into two areas, Upper Sunrise and Lower Sunrise. Upper Sunrise has a boat launch, while Lower Sunrise provides fishing, equestrian trails, picnicking and nature walks. Both Upper and Lower Sunrise provide special interests and visitors with ample sights to see. 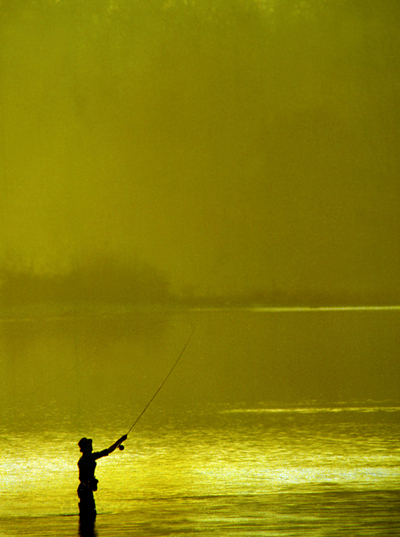 Flyfisherman; Lower Sunrise. Photo By Ed Homich. A boat launch here provides enough space to safely launch a small recreational boat or raft into the swift river. The historic Fair Oaks Bridge, site of a feature film or two and hundreds of enjoyable walks and bike rides, can also be found here. Linked to Sacramento Bar via the Jim Jones Bridge, which only pedestrians, bicyclists and equestrians can cross. Horse lovers can bring their equine companions to the equestrian staging area. 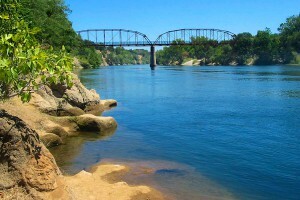 Anglers enjoy fishing from this bridge. The Jedediah Smith Memorial Bike Trail can be enjoyed from both parts of Sunrise.